In light of recent economic difficulties, SSNO has joined hands with the Goochland Free Clinic and Family Services, an organization working for betterment of needy people in this Goochland county. SSNO has a donation center established and donates food items collected on a weekly basis year-round. 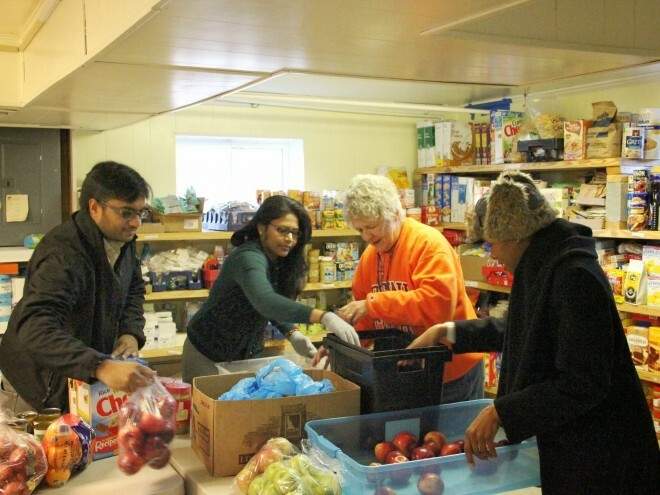 Drop off food items at Sri Sai Narayana Organization through out the week. The non-perishable goods, milk and fresh produce are accepted. Deliver donated items to the Goochland Free Clinic. If you are interested in doing so, sign up here. What the SSNO community has donated, by week. August 3rd, 2016 42 Gallons of Milk, 100 Pounds Bread and 120 Apples.